Integrating international exchange students into local communities fosters a global spirit of community that permeates classrooms, sports fields, office buildings, homes and hearts, bringing us all a little closer. 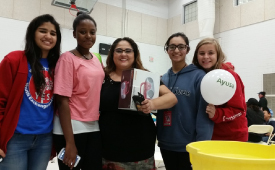 Ayusa’s Community Representatives are at the center of it all. Working closely with students, families, high schools and community members from start to finish, Community Representatives enhance the exchange experience for everyone involved. They help foster community-wide international understanding while building lifelong friendships that will make the world a better place. 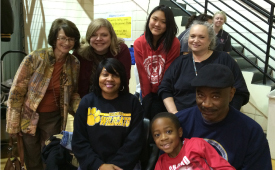 The responsibilities of our Community Representatives help ensure the success of the program. “Change the world” isn’t officially in the job description, but it does come with the territory. Through community outreach, you’ll find committed host families and connect them with international students who are a good fit. Build relationships and maintain regular contact with students, host families and schools throughout the year to help enrich their experience. Mentor, guide, facilitate, listen, assist, embrace, encourage students and host families throughout the exchange and hosting experience. Our Community Representatives have an important job, and we’re committed to giving them the tools to exceed every expectation. And with more than 30 years of experience in inbound and outbound exchange programs, we’re only getting better. From dedicated local and national support teams, thorough online training programs and onsite conferences, to overseas partnerships dedicated to accepting exceptional international students, unwavering support for our CRs leads to an unparalleled experience for everyone involved. 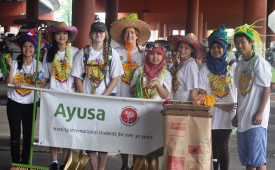 Learn more about how you can become an Ayusa Community Representative today!